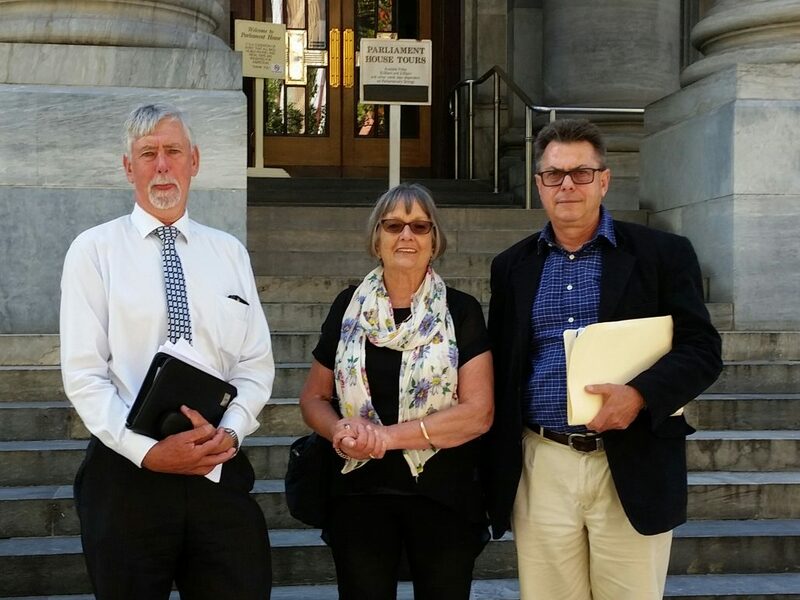 Key leaders from the Limestone Coast SA met with the Minister for Mineral Resources and Energy, Tom Koutsantonis on Monday to convey their position YES to Solar Thermal, NO to gas. Merilyn Paxton, Farmer, and Chair of the Limestone Coast Protection Alliance; Peter Bissell, Chairman of the Limestone Coast Grape and Wine Council; Dennis Vice, owner and winemaker at Highbank Wines; and Peter Riseley, Mayor of the District Council of Robe met with the Minister. “We made clear our request that we want a ban on unconventional gasfields in our region. Last year, a review of 685 research papers points to risks to water, air and health. Our region’s water, and our wine and agricultural industries are too important to imperil.